From Cahors to Eauze, the GR 65 Chemin de Saint-Jacques meanders through 190 kilometres (120 miles) of mostly gentle terrain. On this walk, you will climb a few gorges and follow some shady paths through the forest, but for much of the way you’ll find yourself surrounded by rolling hills and a patchwork of cultivated farmland. Tucked among those rolling hills are vast fields of sunflowers, and in summer, swathes of dancing yellow faces will keep you company throughout the day. Medieval splendour is on display here in this south-west corner of France. Over the last thousand years, several of the larger towns were once home to ruling noble families and have played important roles in the area’s history. 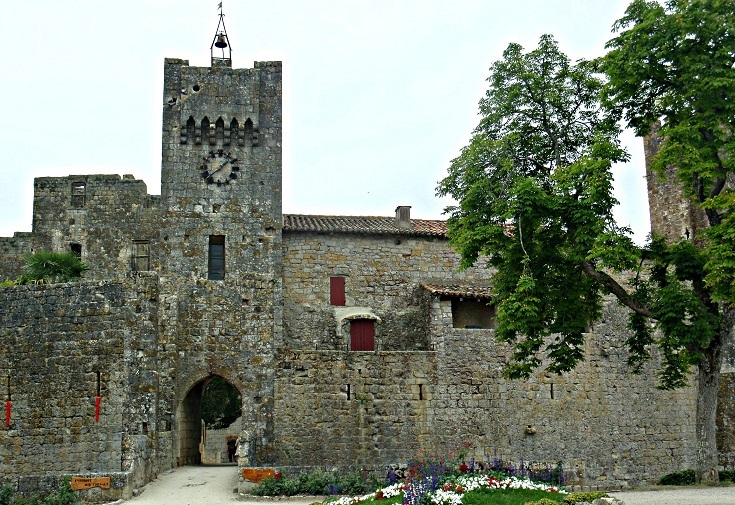 Fortified bastide villages and towns occupy prominent positions on the ridges that separate the wide valleys—perfect locations for guarding against invading armies—and it’s not difficult to imagine the battles that were fought here long ago. Although most of the châteaux and fortified walls were damaged during the Hundred Years War and the Wars of Religion in the fifteenth and sixteenth centuries, you will still see grand cathedrals and stone and timbered houses throughout your walk. 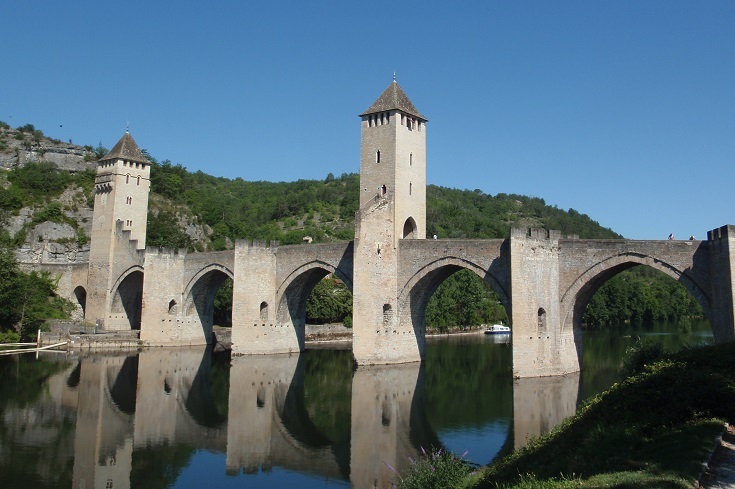 There is plenty to do in and around Cahors, making it the perfect place to relax for a day or two. You’ll find lots of ideas here. If you have the time, ask at the Tourist Office about organising a visit to the nearby wineries. If you have only a few hours to spare, call into the Musée de la Résistance across the road from Place Charles de Gaulle. The museum is free (donations welcomed), open every afternoon and staffed by passionate volunteers. The day I visited, a delightful lady, who was just a young girl during the war, guided us through the museum, explaining the exhibits in a mixture of French and English. To speak with someone who had lived through this horrific time was a humbling and memorable experience. Three days after leaving Cahors, you’ll arrive in Moissac. If you find yourself looking forward to another rest day, then this beautiful town steeped in history is a good choice – particularly if your visit falls on the weekend when the markets are in full swing. Be sure to set aside an hour or two to visit the cathedral and adjoining cloister. Audio guides, available from the Tourist Office behind the church, provide a detailed commentary of the architecture and the delicate carvings. 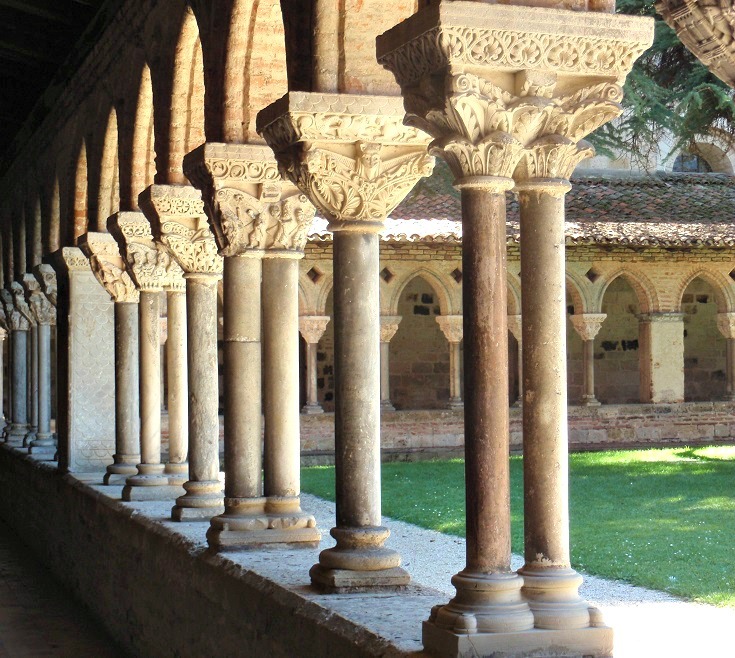 The cloister was completed in 1100 and the seventy-six capitals adorning the columns are believed to be the oldest in the world. As well as allowing your leg muscles some recovery time, a longer stay will enable you to climb the hill to the Carmelite Convent, and follow the canal a short way to the bridge crossing above the Garonne River—sights that are sometimes sacrificed in the interests of conserving energy or time. 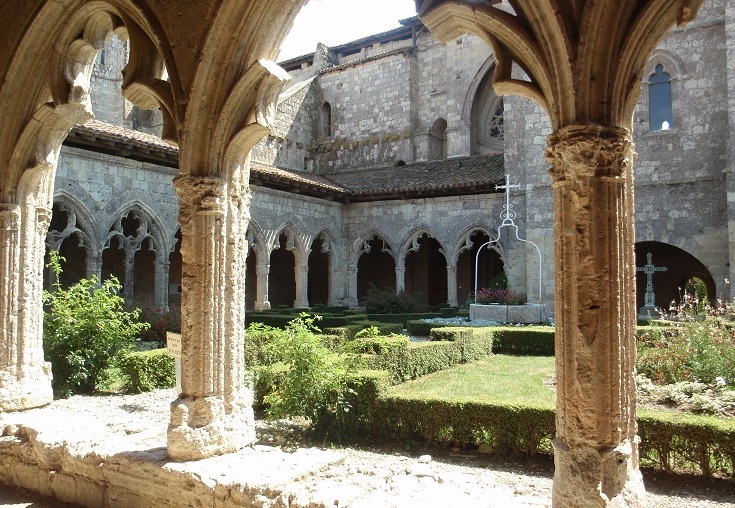 A highlight of this section of the Chemin de Saint-Jacques from Cahors to Eauze is the UNESCO-listed, fourteenth-century church and cloister in La Romieu. Although a fire destroyed the wooden upper floors of the cloister in 1569 during the Wars of Religion, the delicate stonework of the ground floor arches remains, and frames the lovely garden beds in the centre of the cloister. From inside the church, it is possible to climb the spiral stone staircase in one of the adjoining towers and enjoy the glorious views over the countryside. Along this section of the walk, the Chemin de Saint-Jacques passes through three of France’s ‘most beautiful villages’. A fourth—Larressingle—is a one-kilometre (fifteen-minute) detour from the path. 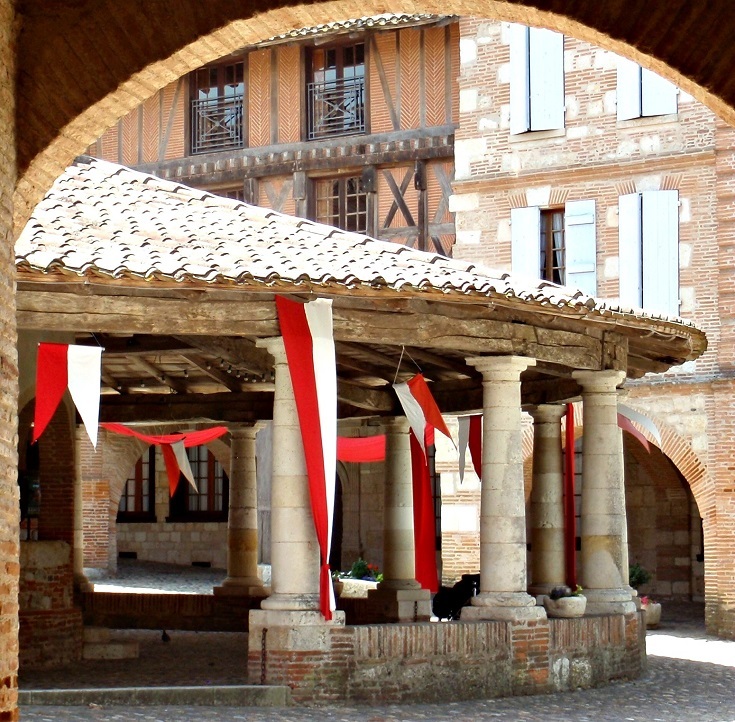 All of these lovely towns provide glimpses into medieval life in a fortified village and offer a delightful setting to enjoy a cold drink, lunch or an overnight stay. 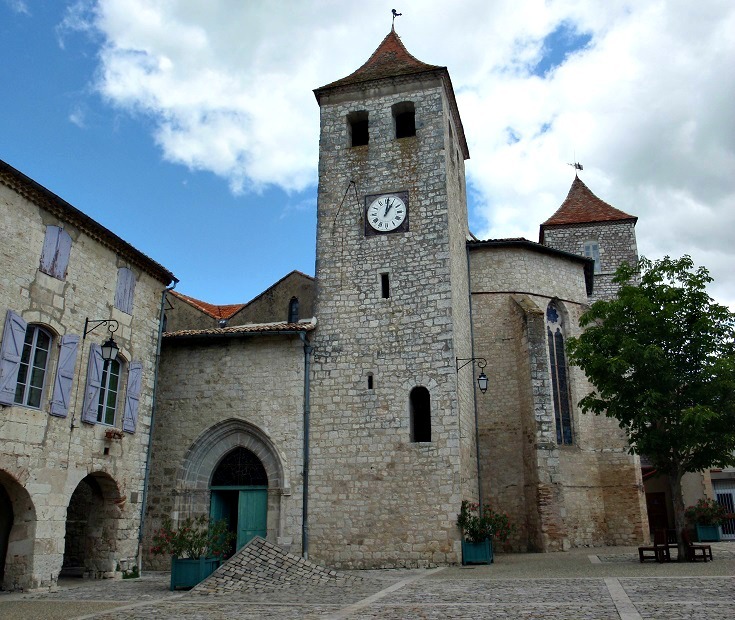 Larressingle—this thirteenth-century fortified village survived the Hundred Years War and the Wars of Religion but was almost lost to decades of neglect. Thankfully, an Italian Duke fell in love with the stone towers and dry moat and raised funds for its restoration! Montréal—you’ll find a supermarket, pharmacy, banks and many other shops under the covered arcade enclosing the central square of this lovely town (much the same as did walkers centuries ago!). You’ll find fresh food markets in full swing every day of the week (except Tuesday) somewhere between Cahors and Eauze. Chances are excellent that more than one of them will coincide with your visit so make the most of your good fortune and pack a picnic basket filled with delicious home-made produce. I often build a rest day into my walking schedule and if you do too, then Cahors and Moissac are both good choices, as suggested above. But for this section of the Chemin de Saint-Jacques du-Puy I have paced the journey slowly, so that none of the days are exceptionally long or tiring. Many of the villages you’ll pass through on this route are very small—barely larger than a cluster of houses—but several are worthy of a longer visit. Montcuq, Lauzerte, Moissac, Auvillar, Lectoure, La Romieu, Condom, Larressingle and Montréal all offer quaint side streets, ancient timbered houses, medieval halles (markets),—and sometimes a tower to climb—all enticing you away from the path for an hour or so. The longest and hilliest day covers 24.5 kilometres (15.3 miles), climbing and descending several times between Lauzerte and Moissac. If this feels a little too strenuous and you have some extra time available, an overnight stay in Durfort-Lacapelette will break this part of your journey neatly into two. 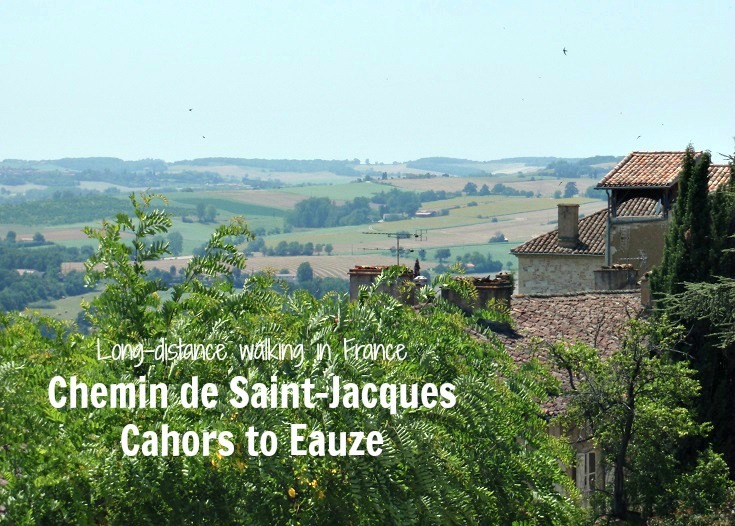 Accommodation is available along the Chemin de Saint-Jacques du-Puy between Cahors and Eauze at intervals to suit all walkers—no matter how fast or how slowly you are taking the journey. 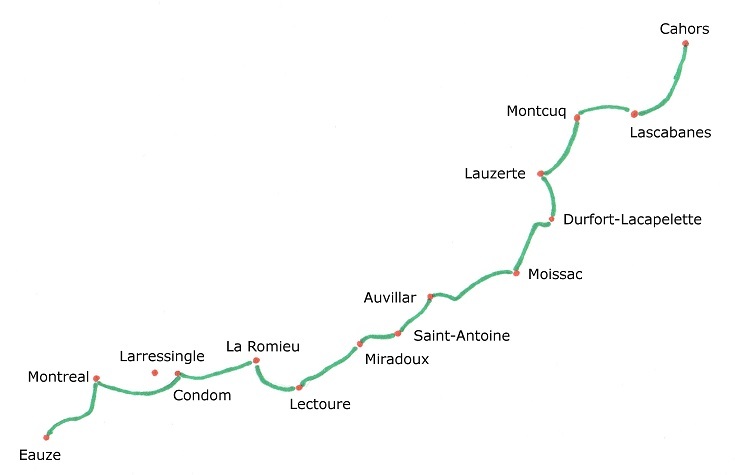 The longest day on my suggested itinerary is day 4 from Lauzerte to Moissac—a day of hills, climbing and descending several times during the 24.5-kilometre (15.3-mile) journey. As you’ll see below, this day can easily be broken up with overnight stays at Durfort-Lacapelette, Saint-Martin or Espis. 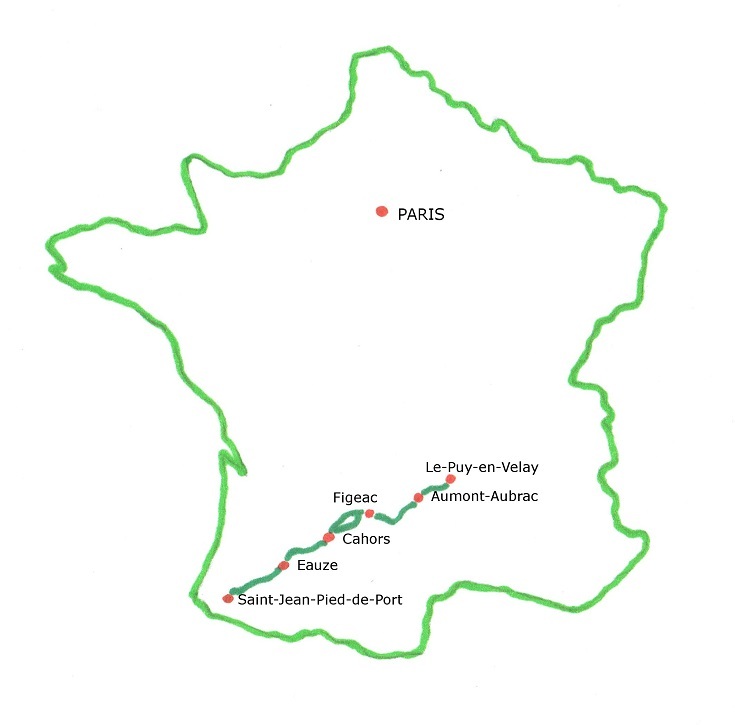 Accommodation is available in the following villages, with distances given from the starting point of Cahors.